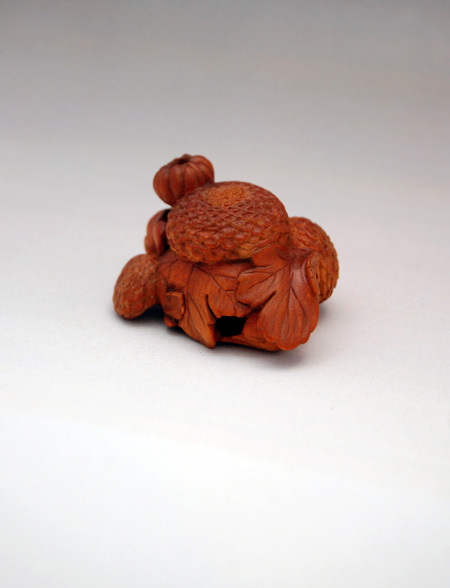 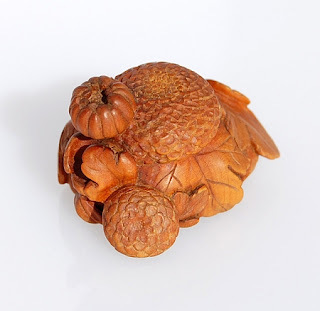 This grouping of five chrysanthemum blooms is carved in boxwood that has been colored. 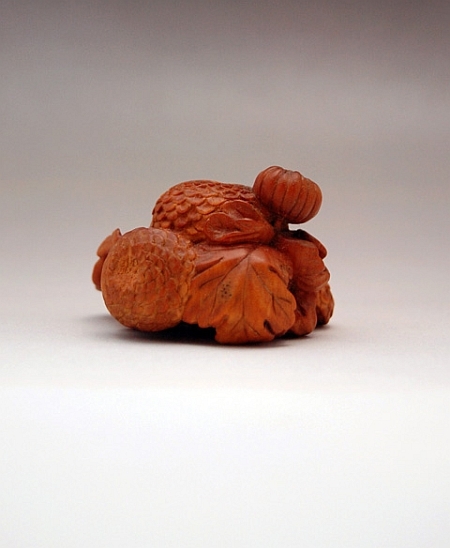 It measures 1 1/2" at the widest point. 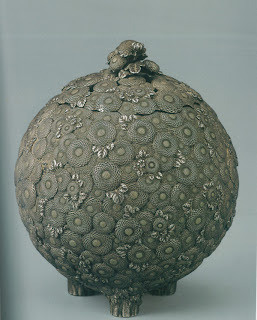 The idea for this piece came from a finial to a silver incense burner from the late Edo/Meiji period in Japan.